A good day, but it didn’t start that way. It had rained most of yesterday and all night. By morning, it was down to some fog and mist. As we were getting the trailer ready for the road, we could not make the slide room retract… it seemed that it was not getting enough power from the trailer battery. I plugged the trailer into the 110 volt outlet and was able to retract it. The next surprise came when I tried to start the truck… it had a dead battery. A neighboring camper gave us a jump start and we were ready to roll. 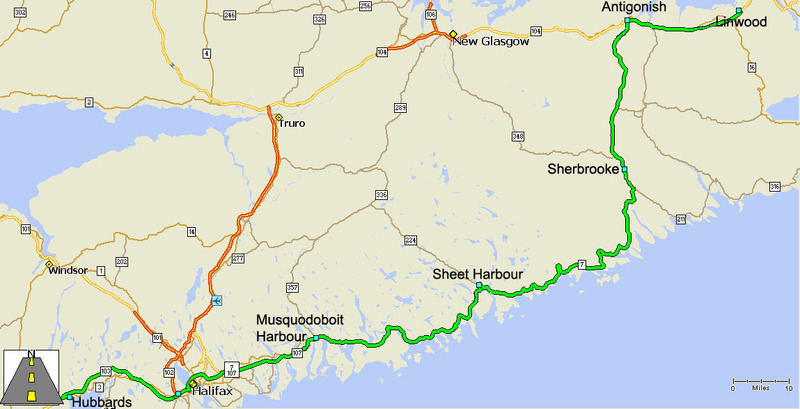 Originally I had planned a route (see map) that took us east along the southern coast of Nova Scotia and then headed northwest across the province to our campground in Linwood. 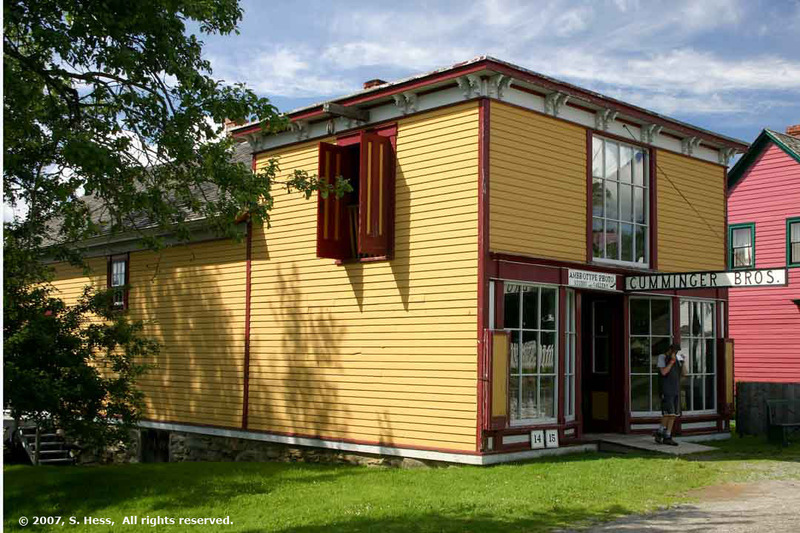 I figured we could do some sightseeing in some of the coastal towns, and we wanted to visit Sherbrooke, a town that is a living museum. Since it was foggy when we left, we thought we would not be able to see much of the coast, so we took the shorter route through Truro and then northeast to Linwood. Half way between Halifax and Truro the clouds started to clear and the temperature rose to the upper 70s. It put a whole new feeling to the day. After three days of fog and rain, we got to see the sun. After setting up the trailer in the campground we decided to go to Sherbrooke, about 50 miles from Linwood. I let the GPS set the course and it took us cross country, including some gravel roads, to Sherbrooke. 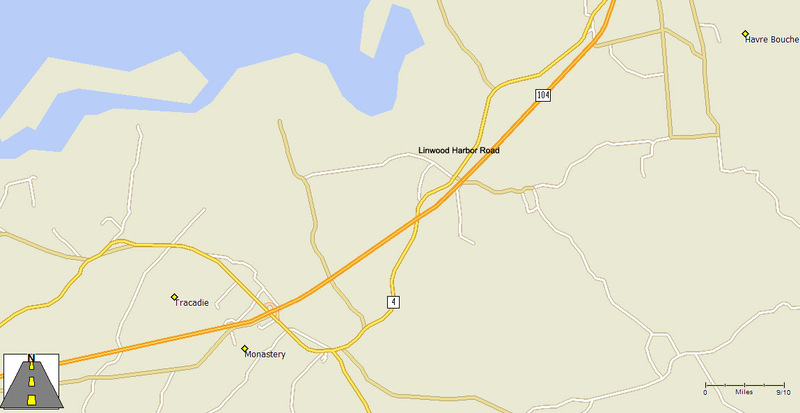 Most of the route was on Highway 7 and it took us past beautiful lakes and along the St. Mary’s River. 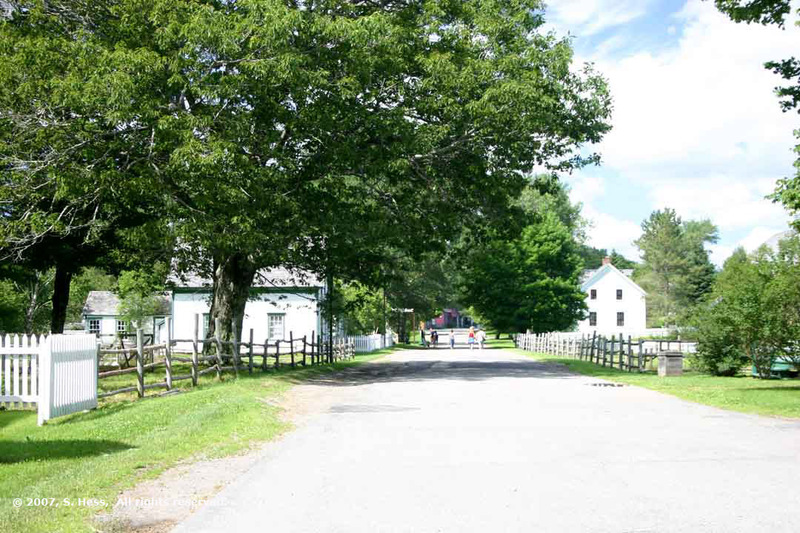 The area now known as Sherbrooke was originally settled by the French around 1655 and was called Fort Sainte Marie. 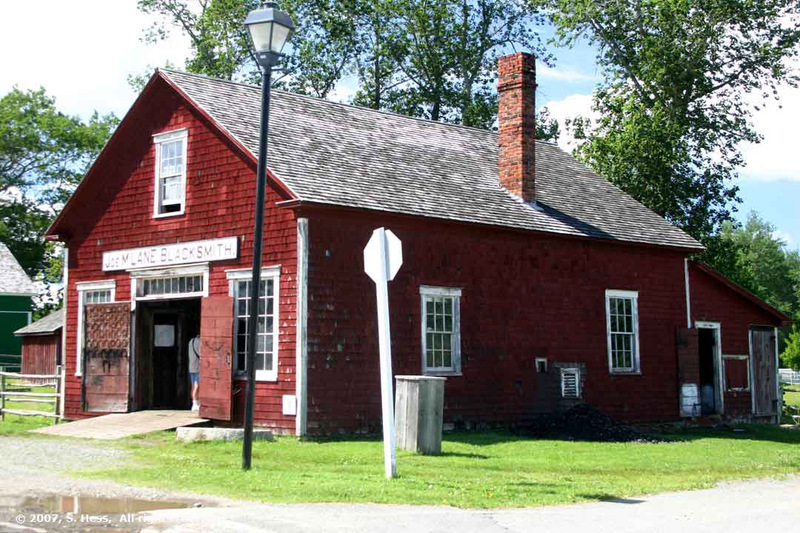 The town is located at what was then the head of navigation for the St. Mary’s River and grew as a fishing, agriculture and timber center. In 1861, gold was discovered in the area and the town boomed. 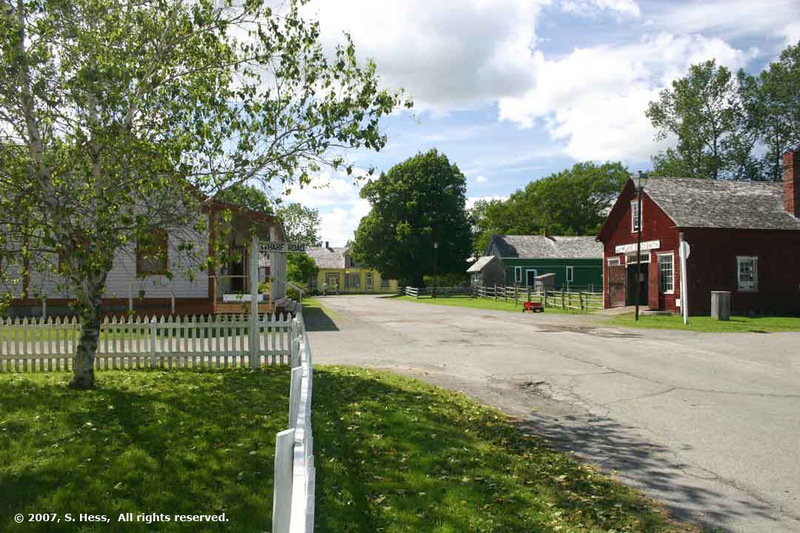 The restoration area was established in 1969 to conserve part of Sherbrooke to depict a typical Nova Scotian village in the 19th Century. As we understand it, all but one of the buildings stand where they were originally built. Quite a few of the buildings in the restoration area are still occupied and the rest are open to visitors. A fully functioning balcksmith shop. 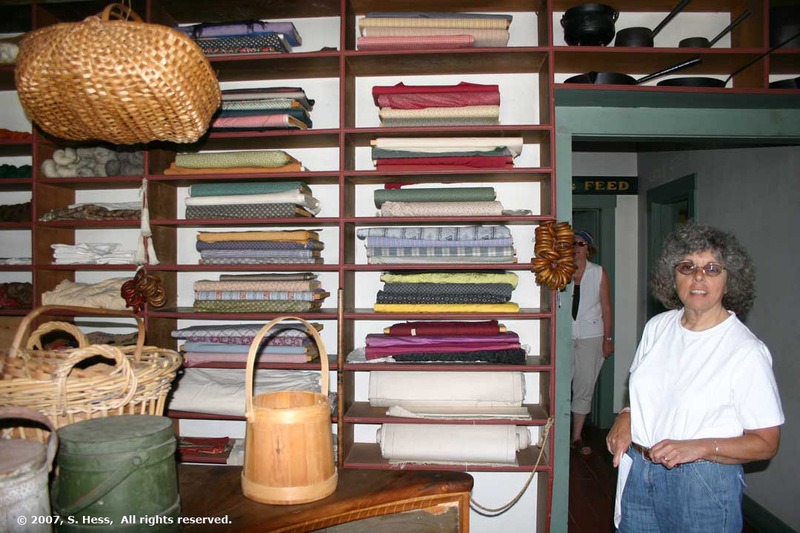 Its products, as well as those of the pottery, weavers, and woodturner, are sold in the Restoration Gift Shop. What seems like an ordinary house is actually the jail. There were cells on the ground floor. 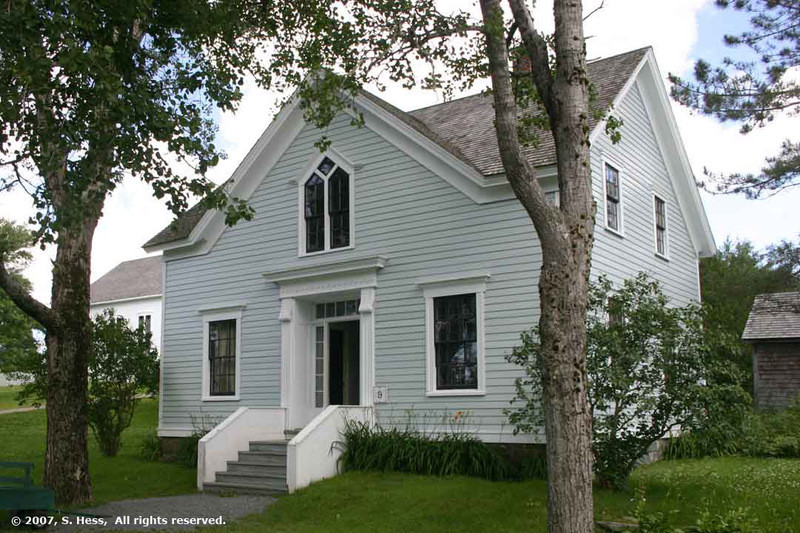 The Jailer and his family lived upstairs. 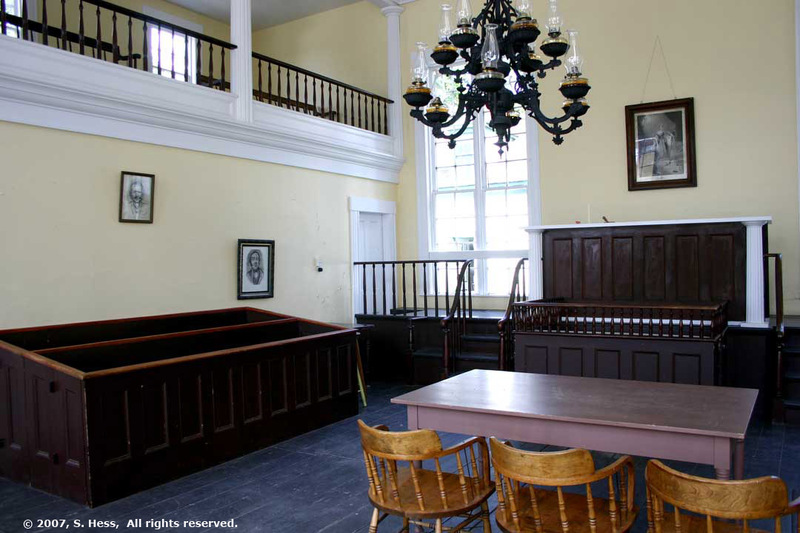 The Court House was built in 1858 and used untill 2000. 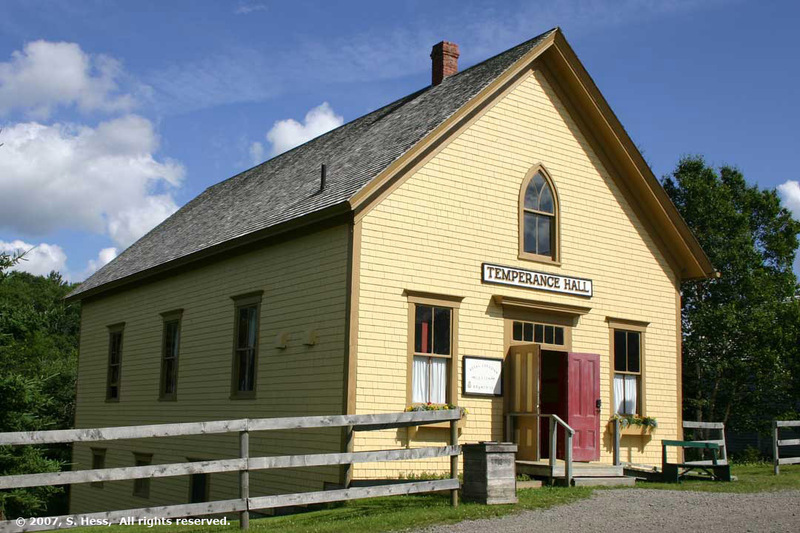 The Temperance Hall. 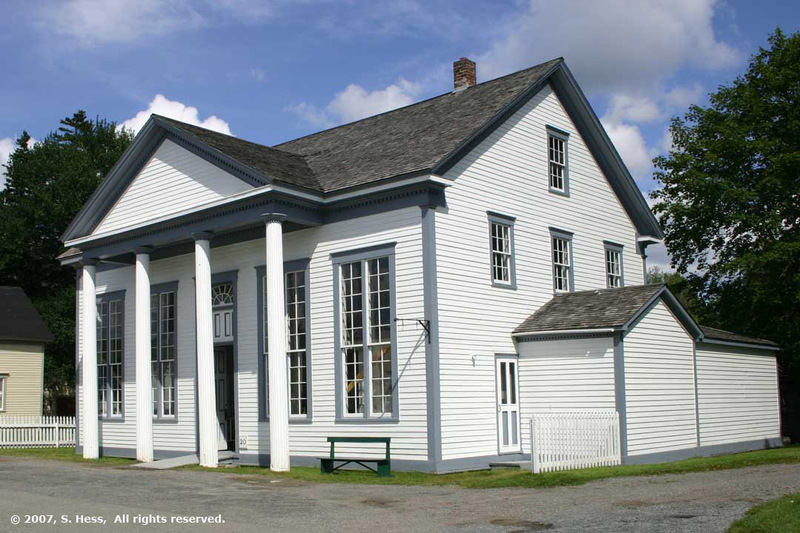 After the decline of the Temperance movement, the building became a school house and, since 1953, a Canadian Legion Hall. Ironically, it is one of the few "dry" legions in Canada. The Greenwood Cottege. We called it the rich folks house... and it was. 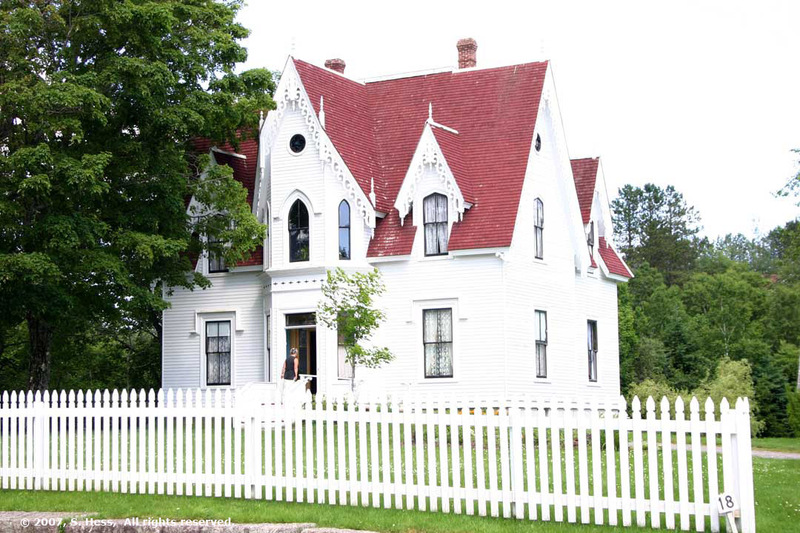 It is hard to call a home this ornate, a cottage. 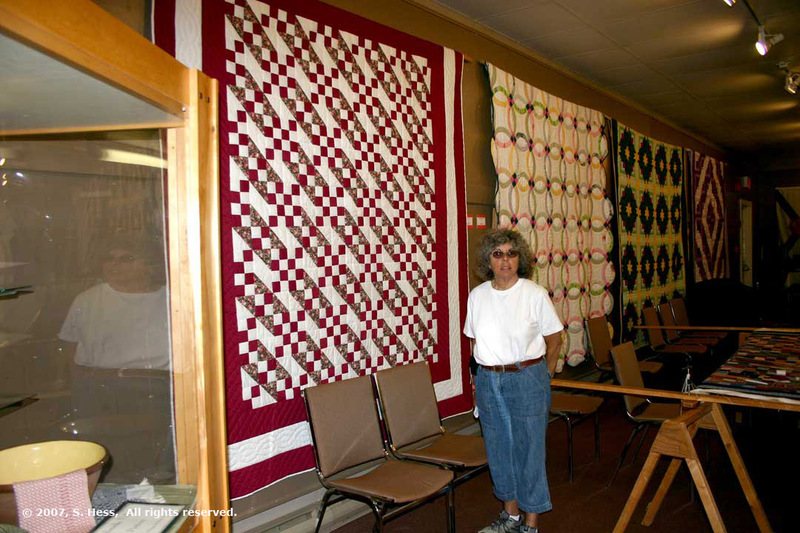 Susie at the quilt display. Where else would you expect to find her? I spotted this sign at the drug store. 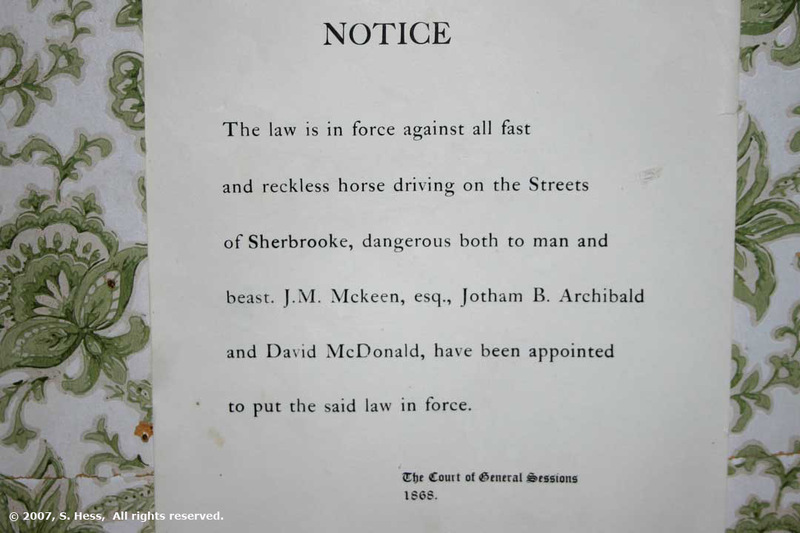 I guess they had a speeding problem even back in 1868.